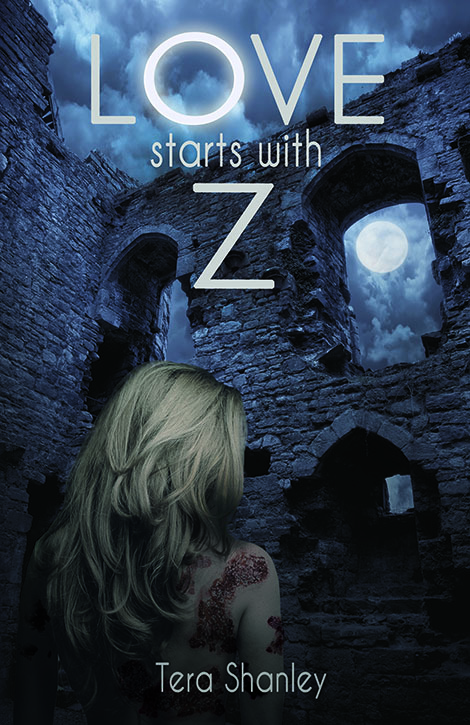 Love Starts With Z is the third and final book in the Dead Rapture series, and I have to confess upfront that I’ve haven’t yet read the first two books. Tera’s novel was brought to my attention by her publisher, and after hearing a little bit about the plot I decided that I would give it a go. Admittedly, this was a bit of a risk but I’m happy to say that the book can easily be read as a stand alone novel. And perhaps the even better news is that I now plan to backtrack and read the others in this series. The easy description of this novel is to call it a zombie story, but it is a zombie story with what I considered to be a unique angle. The main character of the book is a young woman named Soren Mitchell. Born in the aftermath of a zombie apocalypse, Soren is a living, breathing, conscious human who happens to possess many of the physical traits of a zombie. While her zombie-like appearance and her tendency to enjoy extremely rare meat make it difficult for other humans to trust her (most humans initially are inclined to kill her at first sight), these traits also make it possible for Soren to come into direct contact with zombies (also referred to as Deads) without danger of being attacked. At the beginning of Love Starts With Z, we learn that Soren has left the colony of humans she was born into and raised by to live with a different colony. The purpose in doing so is to assist researchers in their quest to develop a cure for the deadly zombie outbreak that constantly threatens to wipe out the dwindling human race. In this new colony, Soren is treated more like a Dead than a human. She is forced to adhere to a strict series of rules developed to protect humans, but at the cost of dehumanizing Soren. Despite the inhumane treatment, Soren endures in ultimate hopes that her personal sacrifice will benefit mankind. Amidst this chaos, a young man named Kaegan Langford finds himself at Soren’s colony. Once he’s made aware of her existence, Kaegan becomes infatuated by Soren. What begins as intense curiosity in Soren soon develops into something much more substantial. Kaegan finds her treatment by others in her colony cruel and is soon inclined to become a defender of the mysterious young woman. “He’s got it bad,” Ben said. Bad? Nah. He’d liked girls before. It had been a few years since he’d had any kind of steady relationship with one, but bad? So he thought about her more than was maybe healthy. And he worried about her wellbeing. And when people insulted her, he wanted to kill them slowly. Okay, so maybe he did have it worse than he ever had before, but it was Soren. She was different. Not just the way she looked, which enamored him more every time he saw her, but she was kind. Not polite-kind to trick people into liking her, but she was someone who honestly cared about the feelings of others. And she did what she thought was right no matter what anyone else thought of her. She was respectable, beautiful—this gorgeous warrior who had consumed him, mind and body, without any effort at all. And when she fought? She was an artist. “Hello,” Colten said, waving his hand in Kaegan’s face. Irritated, he swatted it away and ducked a low hanging branch. Soon, a friendship begins to grow between Kaegan and Soren and the two allies quickly find themselves caught up in circumstances that accelerate both the depth of their connection and their respect for one another. While I’m pretty open to reading books of all kinds, I do have to admit that I’ve never sought out zombie stories. What I enjoyed about Love Starts With Z was that while the zombie outbreak is an integral part of the overall plot, this novel is really more about how humans can sometimes be more frightening than the numerous Deads wandering aimlessly in search of brains. The unusual dynamic that develops between Soren and Kaegan made for a compelling read, and ultimately I found their eventual outcome uncertain due to the unconventionality of their relationship. The action scenes were well-written, the various characters were numerous and interesting, and the emotional scenes were captivating. There were great moments of suspense and swoon, and I’d happily recommend the Dead Rapture series to anyone looking to read something a bit outside the usual realms of the typical romance novel. This entry was posted in Books, Books For Review, Reviews and tagged Books, Books for Review, Love Starts With Z, reviews, Tera Shanley. Thank you so much for reading and reviewing 😀 I’m so happy you enjoyed it.